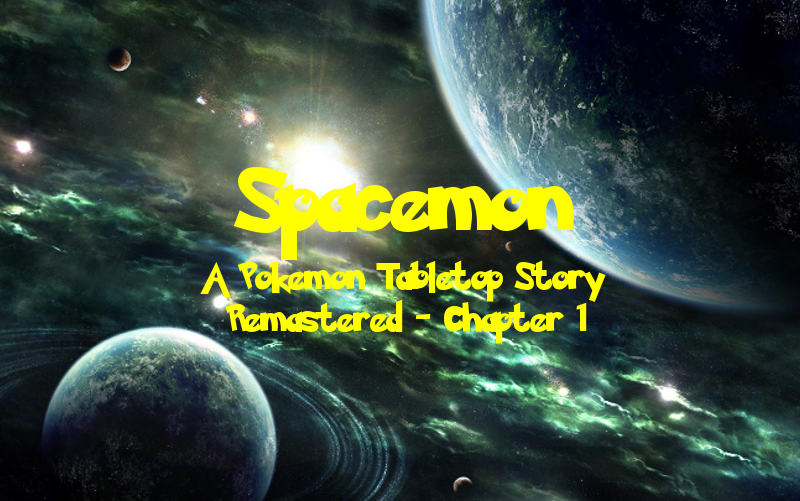 Welcome to the first proper installment of Spacemon, the tale of a Pokemon TRPG campaign! It is a sci-fi space epic played using the Pokemon Tabletop United (PTU) system and GMed by fellow TAY author DragonStorm247. You can get caught up on our previous adventures here! Bounty Hunter Arlon Jett is on the run! In a job gone bad, the former member of the elite team of bounty hunters known as the Red Suns was framed for the murder of their leader, Lars Rickets, as well as Konstantin Schroeder, the Federation’s Director of Economic Provision. After faking his own death to avoid capture, the disgraced bounty hunter spent the last several months laying low and moving around the galaxy. “Tram number three now departing for atrium,” the computerized voice echoes through the dimly lit tram terminal. Arlon rushes to the tram, just barely managing to keep the door from closing. He slips onto the tram and makes his way down the aisle, searching for an open compartment. He sticks his head in a few, only to find them full. Eventually he finds one with only three other passengers. “This seat taken?” Arlon asks the group of young looking individuals. “Nope,” says the young brunette woman, glancing at him with her cold grey-green eyes. “Mind if I sit here then, luv?” Arlon asks her. “Fine,” she says, returning to not paying him any attention. Arlon takes a seat and joins the rest of the passengers in the compartment in brooding silence. Arlon finds himself on the remote Gigan Station in Sector 25 in the Outer Rim. It is nothing more than an asteroid mining station, with not much more than a small shop and a refueling station for passing space travelers. Arlon had arrived here by hitching a ride on a freighter making a delivery to the station. It isn’t exactly where he wanted to end up, but the freighter was headed back into Federation space, a place he would very much like to avoid. Suddenly the power goes out and the tram stops moving, leaving the four travelers trapped together in the tram compartment. Arlon gets up from his seat and tries the door, but it doesn’t seem to want to open. “That’s odd,” he says out loud. “Usually these trams have some kind of automatic release when they lose power.” He tries pulling on the door but it doesn’t budge. “Hey mate, you mind giving me a hand with this door?” Arlon asks the dark haired young man with glasses who had been sitting next to him. “Sure,” the man replies. Arlon notes that he has a Romanov accent. He doesn’t see many Romanovs this far out in the Outer Rim unless they’re mercs, and this fellow doesn’t really look like any sort of merc in the slightest. They each grab a side of the door, then try to pull it open. Despite their efforts, the door refuses to budge. “Clearly we need the assistance of Pokemon!” the blond man in the labcoat who had been sitting opposite of Arlon declares. He stands up and releases a Rhyhorn which just manages to squeeze in between the seats. “It’s up to you #1!” he says. “Break that door down!” The rocky creature easily busts through the door, startling several other passengers on the tram who had managed to get out of their compartments far more easily. “Excellent work!” the man tells his Pokemon, recalling it and returning the Pokeball to his pocket. “I don’t really think that was necessary, mate.” Arlon tells him. Arlon shrugs and follows the blond haired stranger, the Romanov man, and the young woman along with the other passengers being ushered out of the tram by the station’s security personnel. They are led down the remainder of the track and soon arrive in an open atrium filled with confused and annoyed people inconvenienced by the power outage. In order to pass the time, many have decided to engage in Pokemon battles. “You lot fancy a battle?” Arlon asks the three people from his tram compartment as well as a group of four other individuals. “Sure!” a young teenager says enthusiastically, clearly excited to do something other than wait around. They break into two teams of four; Arlon now finds himself teamed up with the three people he had shared a tram compartment with against the teenager, his younger brother, and a young couple who do not appear to be related to them. “Alright Ironhide, let’s do this, mate,” says Arlon, releasing his Aron. Over the last few months Arlon had grown quite attached to the little fellow. His Pokeball had been the only one he was able to hold onto when he faked his own death, and he had little idea of where his other, much more powerful, Pokemon had ended up. Arlon’s teammates send out a Gastly, an Eevee, and the Rhyhorn from before. The team they’re up against looks to be disadvantaged with a Rattata, a Roggenrola, a Bulbasaur, and a Magnemite. “Yvonne, use Quick Attack on that Rattata!” the young woman commands her Eevee. The little brown Pokemon charges at the Rattata and slams into it, knocking it over. “Rattata, tackle it!” the young boy tells his pokemon. The little rat Pokemon charges wildly at the Eevee but it is too slow and the Eevee easily dodges out of the way. “Wilhelm, Lick the Roggenrola,” the Romanov man instructs his Gastly. The ghostly ball of gas floats up to the Roggenrola and licks it with it’s spectral tongue, but the little rocky creature doesn’t seem to be that phazed. “Alright Bulbasaur, use Vine Whip on that Eevee,” The woman instructs her Pokemon. The Bulbasaur extends its vines and lashes at the Eevee landing a hit. “Magnemite, Thundershock that Gastly!” The teen commands his Pokemon. The magnetic being focuses its singular eye on the ghost Pokemon and shoots sparks out of its magnets at it. “Ironhide, use Metal Claw on the Bulbasaur!” Arlon commands his Pokemon. The small metal creature runs up to the Pokemon and swipes it with his claw, fainting it with a critical strike. “Now #1, use stomp on the Rattata!” the man in the lab coat tells his Rhyhorn. The rocky creature runs up to the Rattata and stomps on it with his big and heavy foot, taking it out of the fight. “Roggenrola, headbutt that Eevee!” the man commands his Pokemon. The rock Pokemon charges at the Eevee and crashes into it, knocking it down. “Yvonne use Quick Attack on the Magnemite!” the young woman commands her Eevee. The little Pokemon quickly hops back to its feet and runs at the Magnemite and slams into it but it doesn’t seem terribly bothered. “Wilhelm, Night Shade!” the Romanov tells his Pokemon. The Gastly blasts the Magnemite with psychic energy and it starts to show signs of weakening. “Use Thundershock again!” The teen instructs his Pokemon. It sends out another blast of sparks at Eevee which now seems to be weakening as well. “Use Metal Claw on the Roggenrola.” Arlon commands his Aron. There’s a loud clang as the little metal creature swipes at his rocky foe, dealing a nice bit of damage to it. “Now finish the Magnemite off with Horn Attack #1!” The Rhyhorn charges the Magnemite and slams it with his horn, taking it down. Now the Roggenrola is all that remains. “Tackle the Eevee!” the man orders his Pokemon. It runs at the Eevee and slams into it. “Yvonne, use Quick Attack once more!” the young woman commands her Pokemon. Despite being worn down, it charges forward and hits the Roggenrola as hard as it can. “Now finish it with Metal Claw!” Arlon instructs his Aron. The armored Pokemon runs up to the Roggenrola and swipes at it again with his claws and brings it down. “Wow. You guys are all great at battling,” the Roggenrola’s trainer tells them as he recalls his Pokemon. “Cheers, mate,” Arlon tells him as he heads on his way. Suddenly the main lights flicker back on; power has been restored. Considering the fact that he only has one Pokemon, Arlon decides that looking for some wild Pokemon is a good idea while he’s stuck on the station. He makes his way to the mining area in the lower section of Gigan Station. He arrives in a wide open area with a big ray shield on one end where the chunks of asteroids are brought in to be mined. He spots a group of Geodude and a Solrock hanging out on a recently brought in chunk of asteroid and contemplates how to go about catching them. Interestingly enough, the three individuals he had met in the tram all slowly filter into the room. “Sure,” the young woman agrees. Using on their four Pokemon from earlier, which Arlon observes are the only ones they have at the moment, the unlikely team engage the group of wild Pokemon. “Yvonne, you get up there too, and use Quick Attack!” The young woman also instructs her Pokemon to get up there. With a few quick hops, the Eevee joins the Gastly on the asteroid and engages the Geodudes. “#1! You as well! Stomp those Geodudes!” The man in the lab coat commands his Pokemon. The Rhyhorn is surprisingly nimble and manages to get a good way up the asteroid as well. “Alright Ironhide, Headbutt that space rock and see if you can’t knock one of those Geodudes down here,” Arlon commands his Aron. Ironhide charges the asteroid and smashes his head into it at full force. The asteroid shakes for a second and one of the Geodudes near the edge falls down, landing next to Arlon’s Pokemon. The Rhyhorn joins the Eevee and Gastly atop the asteroid and they manage to knock out the Geodudes that remain on orders from their trainers. “Now focus on that Solrock!” the young woman tells her Eevee. “Ironhide, use Metal Claw on the Geodude!” Arlon instructs his Pokemon. The Aron swipes at the Geodude and hits it into the side of the rock. While it’s still down, Arlon throws a Pokeball at it and successfully captures it. In the meantime, the other three Pokemon have been whittling down the Solrock. The young woman throws a Pokeball and captures it without much of a struggle. “You lot are pretty handy in a battle,” Arlon tells the strangers but they don’t seem to pay him much mind. They seem to be too busy looking around the mining bay. “Don’t say much do ya?” he mumbles before walking over to the ray shield and looking out into space. Suddenly he sees movement in the asteroid field. There’s a ship out there and it’s moving awfully fast. As it flies out from behind an asteroid, Arlon recognizes the UAS Corsair, the frigate belonging to the Red Suns, the bounty hunter crew he used to run with before he was framed for the murder of their leader. “We need to leave now!” Arlon shouts to his new acquaintances. “What are you talking about?” the young woman asks. “Have you looked out there, luv?” Arlon asks her coldly, pointing to the ship barreling toward the station. “This entire station is in danger.” While he hadn’t had any brushes with his former crew since he faked his own death, Arlon had heard the reports. Every since Devlin Garth took over the Red Suns, they had become quite ruthless, relying increasingly on force and the hiring of pirates. “Oi! Where do you think you’re going?” demands one of the attackers with a gruff voice. “To the ship of course!” says the eccentric fellow. They laugh as they grab him and throw him into their boarding craft. “Idiot,” Arlon mumbles under his breath, then decides to go rescue him, his desire to keep out of harm’s way greatly outweighed by his sense of morality. While two are distracted with their captive, Arlon sneaks up on the other two. He quickly grabs the pistol out of one of the pirates’ holsters and puts it up against the back of the other’s head. “Yes... I do,” says Arlon, before pulling the trigger. The man drops to the floor in pain, down for the count, but not dead. The damn idiot had it set to stun! Arlon realizes. In the confusion, the other members of the party jump into action. The Romanov guy uses psychic powers, putting the pirate that Arlon had just disarmed to sleep while the young woman hacks into the station’s computers and attempts to trap the Corsair in the tractor beams. “Oi! What’s going on out here? !” one of the other pirates shouts as the two of them come running out of the boarding craft. When they see Arlon and the young Romanov man they reach for their Pokeballs. “You lookin’ for a fight?” one of them asks. “Damn right I am.” Arlon tells him, reaching for his own Pokeball and sending out his Aron. The Romanov follows suit and sends out his Gastly. The pirates respond by sending out a Kadabra and a Magneton. The Pokemon are left to battle on their own while the pirates and Arlon dive for cover and start shooting at each other. The Romanov quickly picks up a pistol off one of the downed pirates and follows suit. Laser fire flies across the atrium, the Pokemon dodging and weaving through the blasts as they duke it out. Suddenly the eccentric man’s Rhyhorn comes charging out of the boarding craft, crashing into the Kadabra. The man is soon to follow, stepping outside the craft and then blasting electricity out of his hands at the pirates. One of them starts spasming and falls to his knees, paralyzed! Arlon quickly takes aim at the pirate and hits him in the shoulder, taking him totally out of the fight. 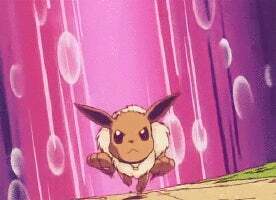 Having successfully trapped the Corsair in the station’s tractor beams, the young woman sends her Eevee into the fray. With the additional assistance from the Eevee and Rhyhorn, the Aron and Gastly are able to overwhelm the Kadabra and Magneton by the skin of their teeth. Arlon takes down the remaining pirate with another shoulder shot and the fight is won, but just barely. “Who is this?” the voice asks. “Uh… Private Ryan?” Arlon says, not really having the time to think of something convincing. “Haha, very funny. Hold the craft. We’re on our way back, we got what we came for,” the pirate replies on the radio. “Wow. I did not think that would work,” Arlon says with a laugh. “Uh… It looks like they’re going to fire on the station,” the young woman announces. They run to the hangar where they find a selection of four different ships. The foursome board the ship and Arlon slips into the pilot’s seat and fires up the engines. He quickly seals the airlocks and guns it out of the station. As they make their escape there are more voices on the radio. “Package transmitted,” says the voice from before. “Good work boys. Now get yer asses back to the ship before we fire on the station. Ya’ll got thirty seconds.” Arlon recognizes the voice of Devlin Garth the ruthless new leader of the Red Suns. “But boss, we’ve still got men on board,” the first voice responds. “They’re expendable!” Garth shouts just before Arlon flies out of radio range. The others see a bright flash as Gigan Station explodes behind them. Session/Revision Notes: This session was so long ago that I barely remember the interesting stuff that happened. The original chapter was posted before I added the “Session Notes” section to these posts. It was well before I started taking notes on the sessions, let alone recording the audio! The original was completely written from memory and was missing many details that I really don’t remember now. In going back in rewriting this chapter I fudged a lot of the insignificant details to create a tighter narrative. One of the major things I did with this chapter is add more dialogue and more active Pokemon battles. It was hard to capture that with the very brief descriptions that were in the original chapter and without notes on the session I had to make up a lot as a went along. Even if it didn’t end up playing out exactly how it did in the game, this chapter does a great job of capturing the story of the first session of Spacemon. Another key thing I did was add in Arlon’s accent. It first showed up in his first appearance in Volume 2. The reason he didn’t have an accent in the originals is because at the time I wasn’t very good at doing accents for RP yet so doing one for such an extensive amount of time was difficult. I added the accent once I switched over to Alex as my character, since I would only be voicing Arlon in the few appearances he made in Volume 2 which was much easier to do. Considering the fact that I wrote Arlon’s “origin” story last week, I decided to sort of start this chapter continuing where that adventure left off. But it is written in a way that you wouldn’t necessarily have to have read it to get into this story. If you’re interested in the original version of this chapter, you can find it here. The initial posting actually lumped the first three chapters together since they were more or less just short blurbs. Post-Chapter Challenge: Here we are, back where it all began! If you’re a longtime reader, then you are already quite familiar with this setting, and, if you’re new, you have only just begun to scratch the surface! So for today, I would like you to come up with your own Pokemon setting. Spacemon is a sci-fi setting but you can pick fantasy or modern day or whatever. Be creative! Is there a dark tone to the world, or is it more lighthearted? What is the role of Pokemon? of trainers? What sort of challenges and adventures would await players starting a campaign in your setting?